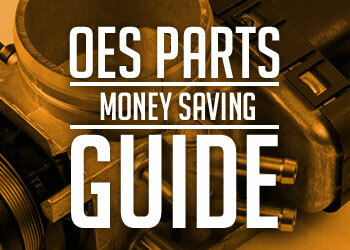 eEuroparts.com® features a wide selection of quality BMW Parts. Since 2000, we have specialized in stocking original equipment manufacturer OEM BMW Parts and a broad selection of aftermarket BMW Parts . Our easy-to-use online catalog allows you to quick browse for along with any other part you mean need for your Swedish or German car. Don't see what you're looking for here? Try selecting your vehicle from our easy-to-use BMW Parts vehicle selector or select your BMW Parts model below. 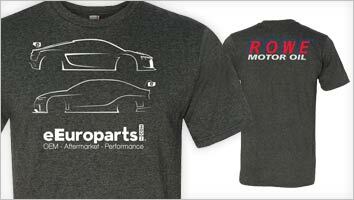 Enjoy browsing through our huge warehouse of genuine, OEM, and aftermarket BMW Parts. At eEuroparts.com®, we offer upwards of 10,000 BMW parts in our online catalog from BMW OEM parts, BMW spare parts, performance, genuine, aftermarket, you name it we carry it. eEuroparts.com® is the leading destination to buy BMW parts online, period. 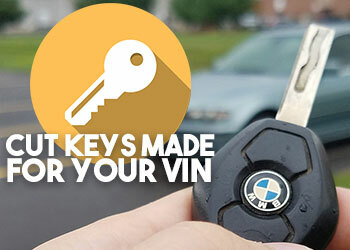 eEuroparts.com® knows that the best thing about driving a BMW is actually driving a BMW. You steer other cars, but you drive a BMW. Commutes to work become less tedious because a BMW will give you a great experience at every turn. We understand what it means to drive a BMW, or Bimmer*, and what it takes to keep yours running at peak performance whether it be a comfortable BMW X5 or a sharp BMW M3. *Note: For protocol among BMW aficionados, and all car enthusiasts for that matter, BMW cars are referred to as Bimmers, not Beemers. A Beemer refers to a BMW motorcycle. With other luxury and sport vehicles to choose from, what is so special about a BMW? We've come to learn that those who ask this, have simply never driven one. Not only are BMW's visually stunning, with sublime workmanship inside and out, but from the moment of acceleration, you will feel the control, power, and precision that other vehicles struggle to match. Settling into the ergonomically-friendly heated leather seats (available), and heading out onto the road, you'll quickly understand why BMW is the Ultimate Driving Machine—and has been for almost a century. Founded in Germany in 1916, BMW or Bavarian Motor Works was established to make aircraft. In the early 1920's, they began making motorcycles, and in 1928, their first cars began to roll out. Today, BMW now owns Mini Cooper, and Rolls-Royce and while the Rolls is an iconic luxury vehicle, few and far BMW owners would give up their Bimmer for this or any other transport. Throughout the decades, BMW vehicles have established themselves as a status symbol; casting an aura of prestige and affluence wherever they go. BMW sells over 1.5 million vehicles every year, which means eEuroparts needs to stock a lot of BMW parts and we do just that! The BMW 3 series and 5 series are the most popular BWM models, and a large percentage of our inventory is concentrated among these particular BMW spare parts. However, we're proud of our diverse and wide ranging parts coverage, and we carry items that fit every BMW model dating back to 1977. Need a replacement BMW emblem to fit your 77 BMW 320i? eEuroparts.com® has it in stock. A spark plug for your 2014 BMW 528i? We have that, too. Check out our BMW parts online catalog for every part you need, and more. If you're not quite sure what BMW auto parts you need, contact us here or call us at 1-800-467-9769. BMW cars have enjoyed multiple wins in global racing activities, including Formula One and Formula Two racing events. A pioneer in the automotive industry, and always keeping up with innovation, BMW recognizes that vehicles today need to steer towards green. The BMW i3 is a hybrid electric/gas vehicle and, keeping up with BMW standards, is very fast by its own right. With a built-in range extender, the BMW i3 will give you 150 miles per charge, so your pit stops to recharge will be limited. 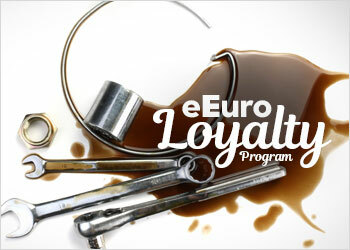 eEuroparts.com® strives to make buying BMW parts online a simple and enjoyable experience. We maintain direct relationships with leading manufacturers, meaning we can buy BMW parts at a better price than other dealers and pass the savings on to you. Our experienced team is extremely knowledgeable about BMW's and BMW auto parts, so we know that buying BMW replacement parts can be confusing. BMW produces dozens of models with varying chassis and ever-changing part specifications. It's hard to know exactly which BMW brake parts fit a BMW 325i, and which fit a BMW X5. That's why eEuroparts manually fits each of our 10,000 BMW parts to each car, ensuring the parts you order is the exact one that fits your vehicle. Buying BMW parts at eEuroparts.com® is the best way to keep your BMW running in pristine condition. Whether you need routine maintenance parts, specific BMW OEM parts, or BMW performance parts to take your Bimmer to the next level, eEuroparts has the BMW auto parts you need delivered to you fast. If you can't find BMW parts on our site or if you have any questions, our knowledgeable customer service experts are here to assist. Call us today at 1-800-467-9769 or contact us via email for more information.